Live Chat for Website and Mobile Support Help your customers when it matters, where it matters. 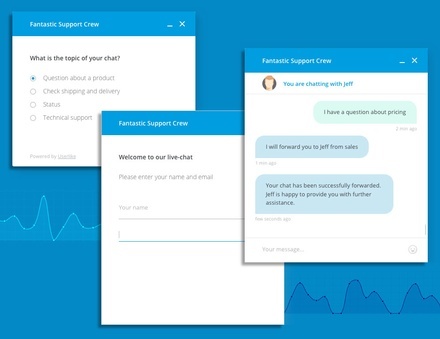 Our carefully designed chat window feels much like the major messaging apps your customers are familiar with, but with an own style that can be tailored to your brand perfectly. Your website deserves no less.